This exhibition is up for the Liverpool Biennial, October 20-27, with an Opening Reception that Friday night (the 19th), if you happen to be in the area. Further details at Curve Gallery’s link, above. Tracy Hill, senior printmaking technician at the University of Central Lancashire came to do a 9 day residency at Pyramid Atlantic in early April of this year. While here, she and I worked on our collaborative show, ‘Field of Vision’ which will be at Washington Printmakers Gallery in December. We’ve done four out of five walks in Lancashire, UK, our final one will be in September. During Tracy’s short nine day stay in DC we took our five US walks and recorded our impressions with our cameras. Back in the PA studios we made quick monotypes of some of the walks to get colors and ideas on paper. During our first walk at Great Falls the Potomac was so high we couldn’t go out on the island. 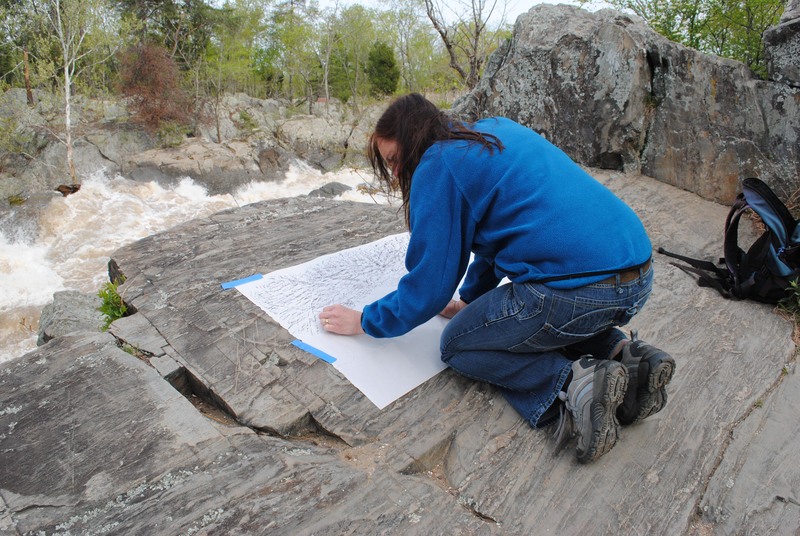 A few days later we were able to return and do some rock rubbings of the wonderful textures. 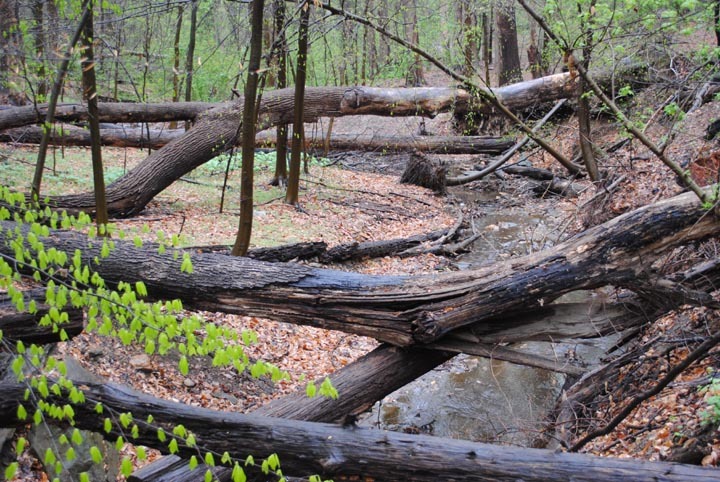 One of our walks was in Rock Creek Park behind the Social Safeway and Dumbarton Oaks. A few days after Tracy returned to the UK I went back to take some rubbings from those rocks and was startled when a jogger came out of nowhere in the forest and stopped dead in front of what I was doing. She must have been shocked to see me with paper taped onto stone with blue painters tape and rubbing a litho crayon over the paper. ‘Nuts’ must have gone through her mind. The leaves were just coming out on the trees during Tracy’s visit and she just loved the green of the newly forming leaves. It’s not a green she’s familiar with in the UK. The green pollen on the stagnant C & O canal was spectacular. She kept exclaiming over the greens she saw. England is green and Lancashire gets so much rain that it’s green all year around so it was interesting to note the difference in greens between the two areas of DC and Lancashire. Postcards from the UK: Oatway wins student vote! Posted on June 30, 2011 by wpgmembers | Comments Off on Postcards from the UK: Oatway wins student vote! What did Martha Oatway win? Read on for her summary, details to come in future postcards! AA2A stands for Artists Access to Art Colleges and 31 universities around the UK participate in the program with 3 to 4 slots at each university. 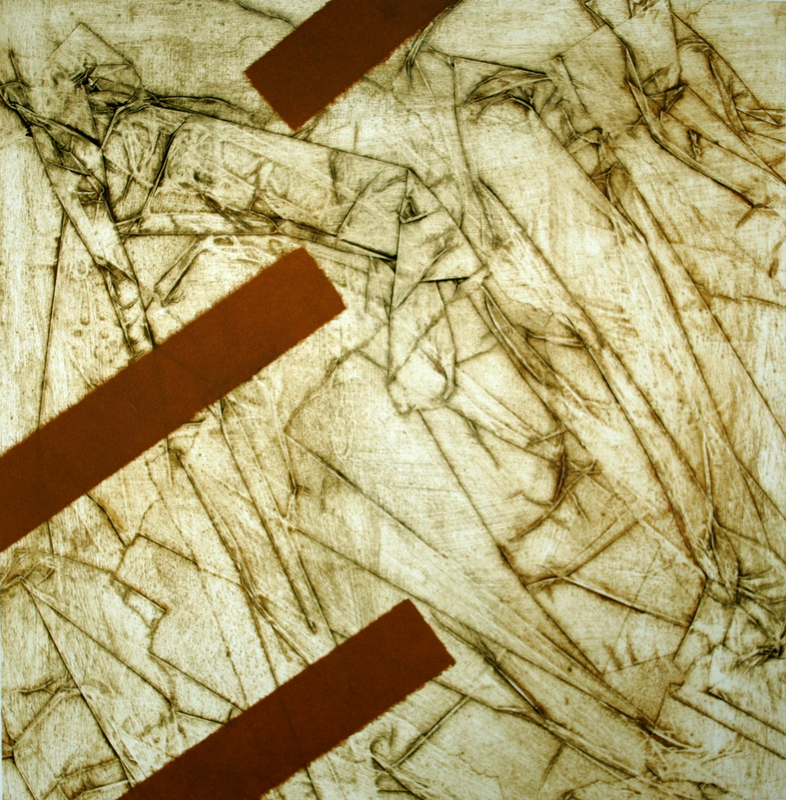 Some universities host a sculpture or painting program and the University of Central Lancashire (UCLan) where I was happened to have a printmaking program for the AA2A. At the end of the academic year there is a vote for two positions in the AA2A scheme. Students can vote for the AA2A person they felt offered the most help and mentorship and there is also a public vote. I co-won the student vote with a person from the University of Northumbria. One of my AA2A cohorts at UCLan received the most public votes. This is the third year in a row that UCLan has received this kind of recognition and it says a lot about the staff in the printmaking program there. Comments Off on Postcards from the UK: Oatway wins student vote! We ended last week with a postcard from Martha Oatway in the UK. 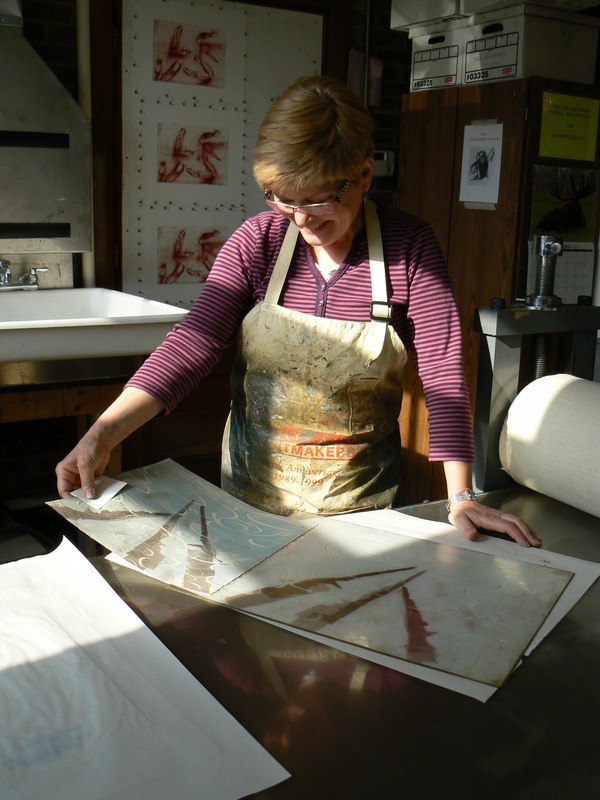 Read more about her upcoming December exhibition with UK printmaker Tracey Hill. The full article can be seen in our Spring Newsletter. 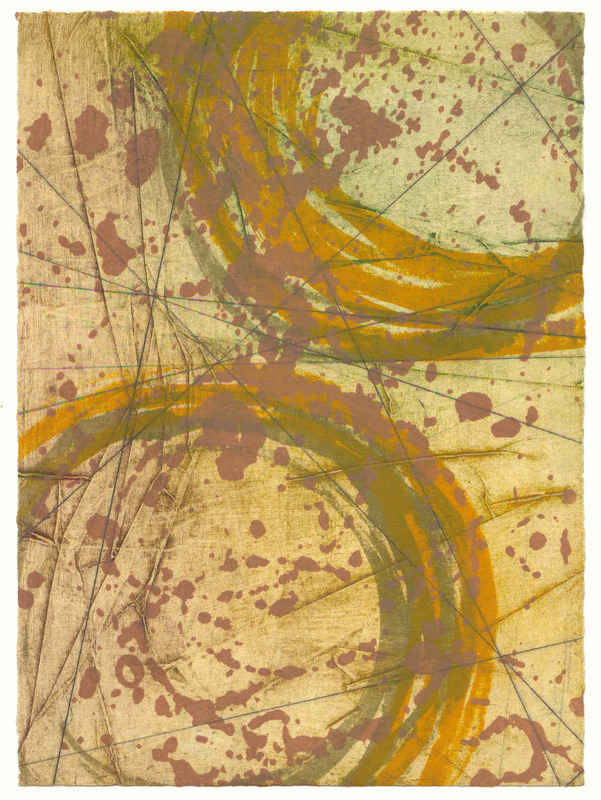 "Moor Walk" by Tracey Hill, monotype, 4x22.5 in, 2010. Martha Oatway is finishing up her time in the UK and will soon return home to the States. Be sure to mark your calendars for her tw0-person exhibition with her friend and UK printmaking, Tracey Hill, on view in December. For now, read on to see how Martha’s art has developed since she’s been across the pond! Martha pulling a print--the press in this picture is over 100 years old! My time in the UK is nearly over. My husband’s job brought us to Preston, UK in July of 2009. Preston is home to the University of Central Lancashire (UCLan) which has a student body of 32000, making it one of the largest universities in the UK. My first year here I joined Artlab, a group of artists from diverse backgrounds and interests that meet for 4 hours on Wednesday nights to explore printmaking. 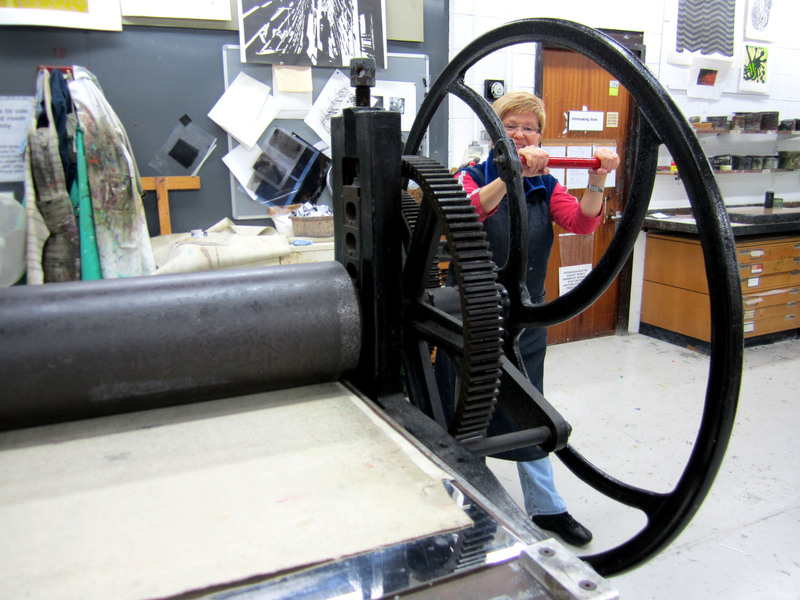 The printmaking studios at UCLan offer a wide range of facilities for etching, lithography, relief and screen printing. It was through Artlab that I discovered Artists Access to Art Colleges, something unique to the UK. The AA2A project provides placement for artists in one of 31 institutions, providing 124 placements nationally. Each university has a different focus, sculpture, painting, etc. 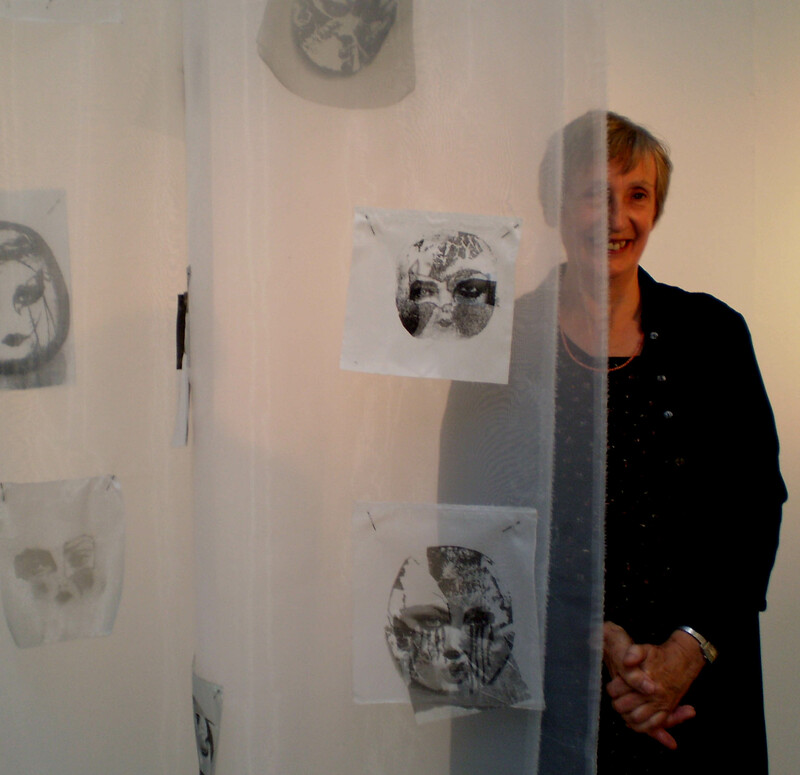 UCLan has four placements in printmaking. I was accepted for the 2010/2011 year based on my project proposal which was to bring my US eyes to the UK landscape and make prints that express how I respond to it. I am fascinated by the layers of living here in the UK. This island has been inhabited by many peoples over the millennia and many of them have left indelible marks on the land. A contemporary wheat field could also be home to Bronze Age circular burial barrows. Sheep graze among stone circles. There are hundreds of abandoned medieval villages which are only visible via aerial archaeology as they are now fields. 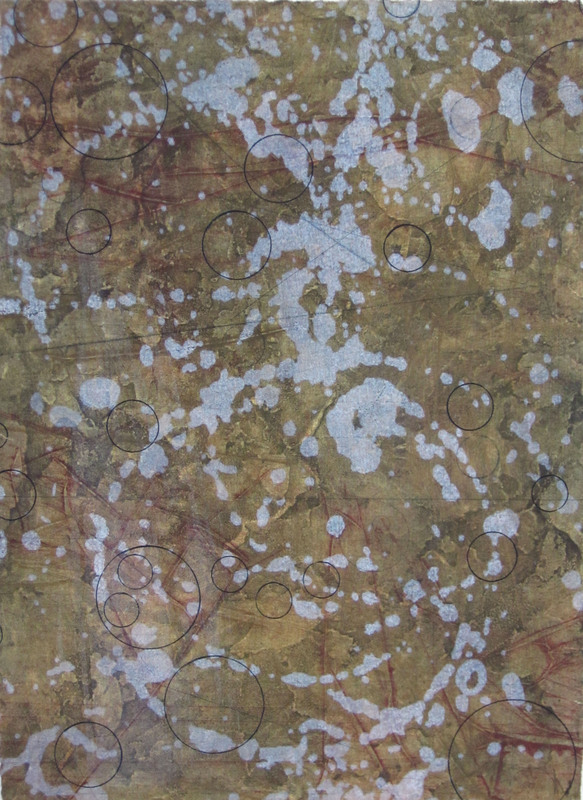 My latest prints are collagraphs layered with etching and paper lithography, sometimes incorporating chine colle. 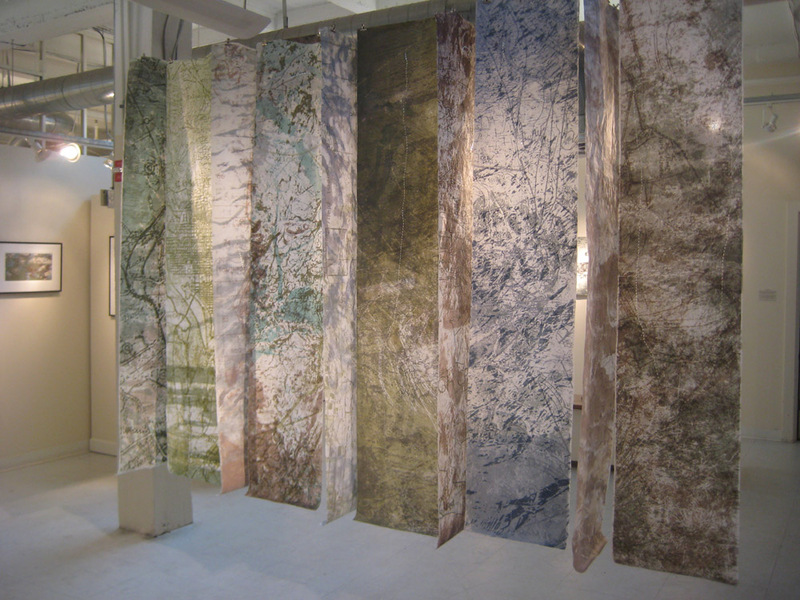 They are abstract maps and aerial views layering different scales of space. You can see the prints I’ve made so far this year on my AA2A page where you can also vote for me if you wish. The winning artists from 2011 will be promoted on the AA2A websites, facebook and twitter pages. The following is from Martha Oatway, WPG artist and President currently splitting her time between the States and the UK. Read on about her experiences with the British print scene! While in London during September 2010 I visited the Alan Cristea Gallery in Cork Street and fell in love with Paul Winstanley’s prints. The show, “Everybody Thinks This Is Nowhere” was comprised of new monoprints, watercolors, paintings and a series of etchings he published with the gallery in 2008. Landscape by Paul Winstanley, image courtesy of the artist and Alan Cristea Gallery. The effect of 36 prints hanging three deep and 9 across the rear wall of the gallery was just breathtaking. 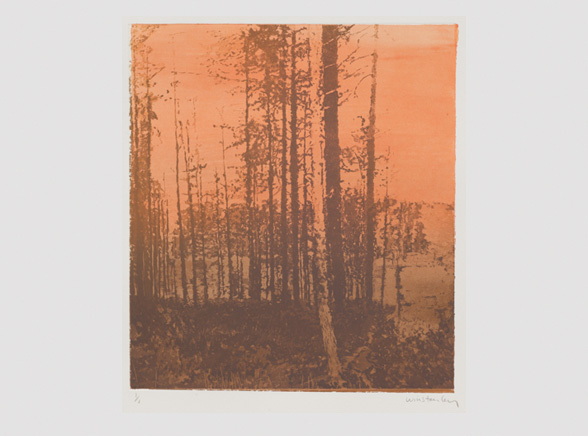 Winstanley used only four sugar lift etching plates but by working both with background color and mixing color on the etching plate he created a series of very different feelings, moods and seasons. 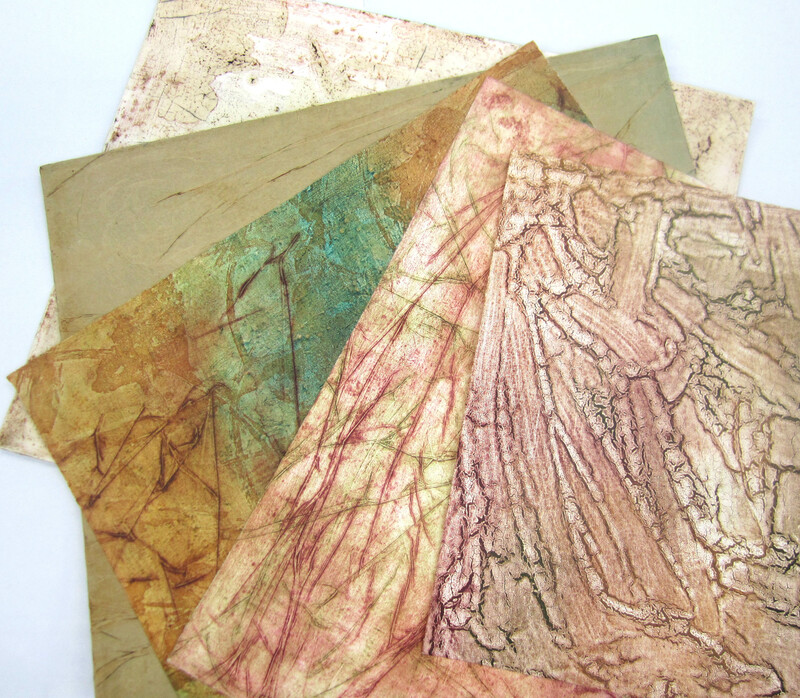 He arrived at the printers with four etching plates and a set of pre-mixed acrylic colors for the backgrounds. There are two background colors per image, one for the top and one for the bottom. 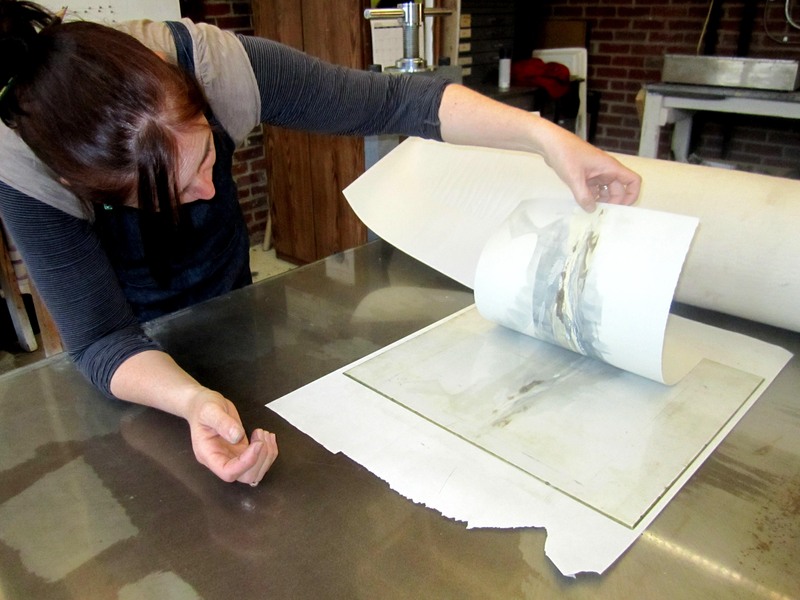 He then mixed another two colors of ink on the etching plate. The resulting images create vastly different moods within the prints. So much so that at times I had to remind myself that there are actually only four etching plates used within the body of work. The effect of the background color with the ink on the plates can change the time of day or even the time of year. The quality of the progressive sugar lift etching with its light and dark areas creates great depth. 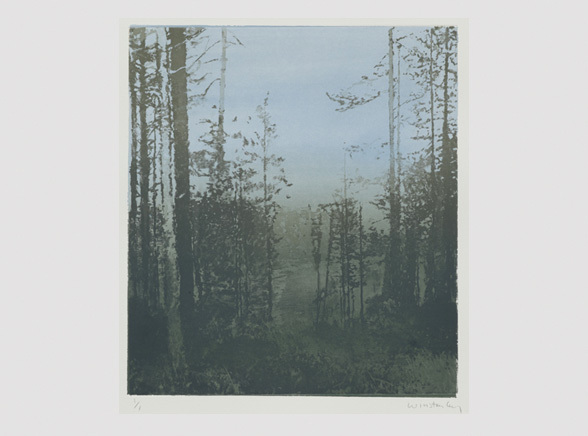 The Alan Cristea Gallery at 31 & 34 Cork Street in London is a must-visit for any printmaker going to the city. I’ve been twice now and am a fan, there are always wonderful prints to view. For more information: Alan Cristea Gallery Home Page, Paul Winstanley Gallery press release, and the wall of landscapes at the Alan Cristea Gallery, London. The following is WPG President Martha Oatway’s write-up on Elizabeth Couzins Scott, one of the artists in the AA2A program Martha introduced us to in her previous postcard. Exciting side note–Martha is back states side for a short visit and will be at today’s “Thank You Silver Spring” party at the gallery (1-4 pm). Stop by to say hello and tell her your favorite UK blog contribution! 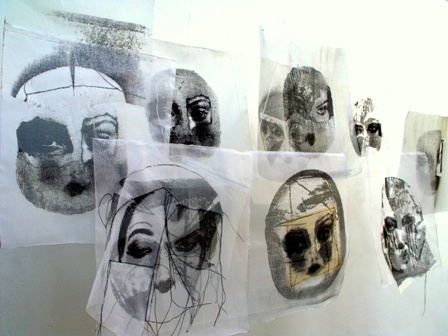 The Artists Access to Art College (AA2A) program in the UK provides four professional artists unlimited studio access for two semesters at each university. I had the privilege to work with three of the AA2A printmaking students at the University of Central Lancashire this past year. In September last year’s AA2A participants showed their work in the gallery at the university. I’ve already written about David Henckel, here is Elizabeth Couzins Scott in her own words.